Thelypteris palustris Schott var. 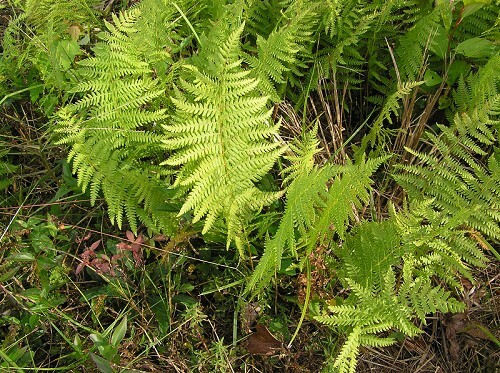 pubescens (Lawson) Fern. Synonym(s): Thelypteris palustris Schott var. haleana Fern. Special Features: The veins of the leaflets are forked to the margins.